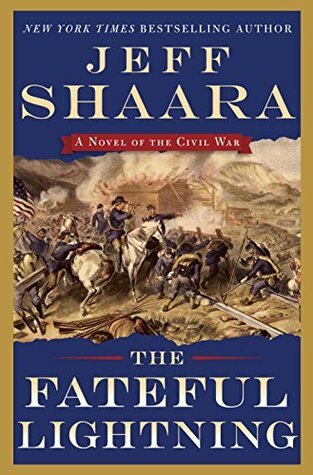 From Jeff Shaara comes the riveting final installment in the Civil War series that began with A Blaze of Glory and continued in A Chain of Thunder and The Smoke at Dawn. November 1864: As the Civil War rolls into its fourth bloody year, the tide has turned decidedly in favor of the Union. A grateful Abraham Lincoln responds to Ulysses S. Grant’s successes by bringing the general east, promoting Grant to command the entire Union war effort, while William Tecumseh Sherman now directs the Federal forces that occupy all of Tennessee. In a massive surge southward, Sherman conquers the city of Atlanta, sweeping aside the Confederate army under the inept leadership of General John Bell Hood. Pushing through northern Georgia, Sherman’s legendary “March to the Sea” shoves away any Rebel presence, and by Christmas 1864 the city of Savannah falls into the hands of “Uncle Billy.” Now there is but one direction for Sherman to go. In his way stands the last great hope for the Southern cause, General Joseph E. Johnston. In the concluding novel of his epic Civil War tetralogy, Jeff Shaara tells the dramatic story of the final eight months of battle from multiple perspectives: the commanders in their tents making plans for total victory, as well as the ordinary foot soldiers and cavalrymen who carried out their orders until the last alarum sounded. Through Sherman’s eyes, we gain insight into the mind of the general who vowed to “make Georgia howl” until it surrendered. In Johnston, we see a man agonizing over the limits of his army’s power, and accepting the burden of leading the last desperate effort to ensure the survival of the Confederacy. The Civil War did not end quietly. It climaxed in a storm of fury that lay waste to everything in its path. The Fateful Lightning brings to life those final brutal, bloody months of fighting with you-are-there immediacy, grounded in the meticulous research that readers have come to expect from Jeff Shaara. This is the last book I believe in his series about the Civil War. This story has Sherman leaving Atlanta, and the problems he experiences along the way. With staff, reporters, Former slaves, losing another child, and just the everyday problems they would have faced. The author also gives you a point of view from the South side and the changing of leaders, lack of food and supplies, men deserting, and the lack of direction. He also gives you a story of one of the free slaves that takes up with Sherman’s Army and follows along with them. you get somewhat of a feeling of what Sherman was doing but it is not a breakdown of how he was thinking and how he went about his march across the South, for that you would need to read a different book. But this story is good it works and flows up to the end of the war, and he gives you at the end what happened to the people that he was speaking of. Overall a good book. I got this book from netgalley. I give this 4 stars.